In order to maintain the look of a new board and protect your paddle edges, this is a must have product. The rails of your SUP are vulnerable to all sorts of damage if not treated with caution. 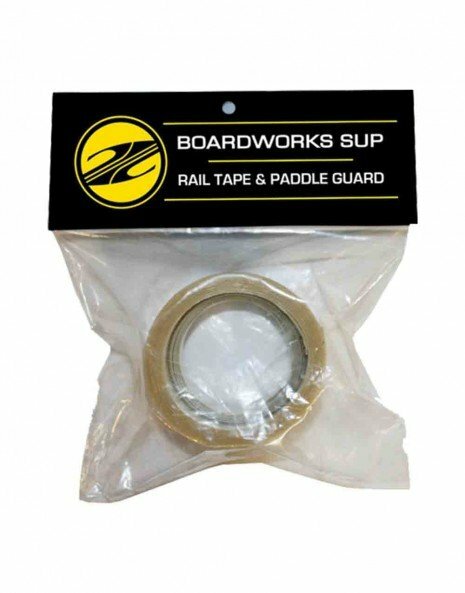 This rail tape is a quick and easy preventative to nearly any rail damage. The aggressive angles, tight radiuses and dimensions of the modern paddle require a product that is extremely flexible and nimble, maintains durability, and is both waterproof and clear. This is the only paddle tape this is invisible, low profile, and doesn’t change the performance of your paddle.